Intelligence Bureau Admit Card 2018 announced soon on mha.gov.in.Intelligence Bureau, Ministry of Home Affairs(MHA) announced job notification for Security Assistant post across the country. Candidates who completed 10th Class/SSLC can participate/apply for this exam. The online application process for Intelligence Bureau Recruitment 2018 starts from 20 October 2018 and the deadline for application on 10 November 2018. There are more than 1054 Security Assistant/Executive vacancies filled through this online examination. After the online application process, IB announces IB Admit card for Security Assistant Examination. 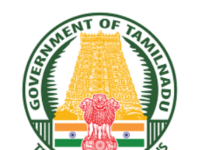 The admit card contains all the candidate details and date of examination and time and exam location. 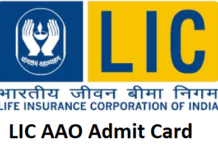 Candidates need to download this admit card and carry with them on the date of the examination. 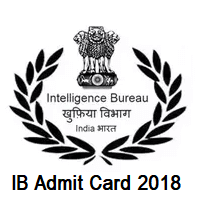 Here we updated the direct link to download Intelligence Bureau Admit Card. Kindly follow below steps to download exam call letter. Minimum Qualifying Marks: UR-35, OBC-34 & SC/ST-33. The candidate’s merit list is created based on this examination, and they called for Interview or Personality test, Character & Antecedent verification & Medical Examination. The final appointment will be provided after the Medical Exam. 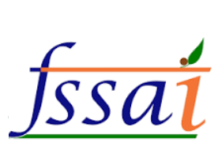 FSSAI Admit card 2019 will be released soon in the official website.